For the first time, nine private sector experts have been selected for appointment as joint secretaries in central government departments under the lateral entry mode. 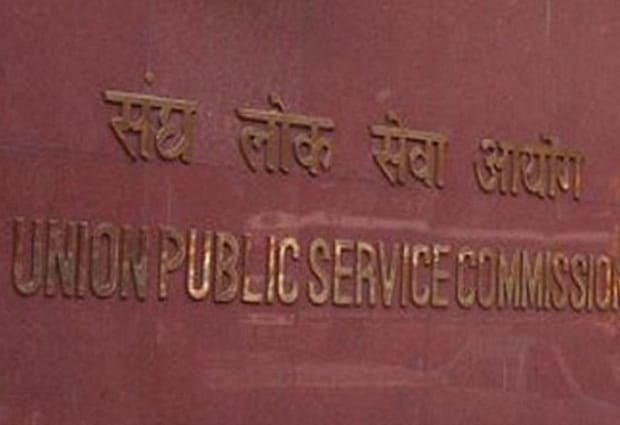 Usually, candidates for the posts of joint secretaries are selected by the Union Public Service Commission (UPSC) through the civil services examination. To ensure the same standards, the entire process of the selection of these experts was conducted by the UPSC. Under the lateral entry mode, experts are appointed from the private sector in government organisations on contract basis for a period of three years. Those selected are Amber Dubey (for civil aviation), Arun Goel (commerce), Rajeev Saksena (Economic Affairs), Sujit Kumar Bajpayee (environment, forest and climate change), Saurabh Mishra (financial services) and Dinesh Dayanand Jagdale (new and renewable energy). Suman Prasad Singh has been selected for appointment as joint secretary in road transport and highways ministry, Bhushan Kumar in Shipping and Kokoli Ghosh for agriculture, cooperation and farmers welfare, the UPSC said. Amber Dubey, who is a partner with consultancy firm KPMG and head of aerospace and defence, has been selected by UPSC for the post of joint secretary in the Ministry of Civil Aviation. Dubey joined KPMG India in 2002. He is an alumnus of IIM Ahmedabad, where he specialised in 'Strategy and Operations'.Dubey is holds a B-Tech in mechanical engineering from IIT Bombay. He has over 26 years of experience. Dubey did his schooling from Holy Family High School in Mumbai. After his appointment, Dubey shared the news on LinkedIn saying, "Thanks to your blessings and good wishes, have been selected by UPSC for the post of Joint Secretary in Ministry of Civil Aviation. This is a three-year contract extendable by two years. Hope to live up to the high expectations from the Government of India and aviation colleagues. God’s very kind indeed." Sujit Kumar Bajpayee is currently working as Manager (Environment) with NHPC. He is involved with the overall planning of new hydro projects from the environment & forest angle, securing clearance for them from Ministry of Environment, Forest & Climate Change, Govt of India and implementation & monitoring of various environmental safeguards stipulated by Govt. He is also handling environment related legal issues and other policy issues arising from time to time. Dinesh Jagdale is the Director & Chief Executive Officer at Panama Renewable Energy Group. He earlier worked with Enercon India Ltd as DGM (Marketing) and with Crompton Greaves as a marketing executive - exports. He holds an MBA in marketing from MGV Panchavati College in Nasik. Private sector agriculture specialist Kakoli Ghosh has been selected for appointment as joint secretary for agriculture, cooperation and farmers welfare. Kakoli, who works at the Food and Agriculture Organisation, is the only woman on the list. According to information available, Kakoli's expertise includes agriculture, plant biotechnology, crop production, genetic engineering, plant molecular biology, transgenics, agricultural biotechnology, crop improvement, secondary metabolism and genetically modified organisms. Rajeev Saksena is Director – Economic and Infrastructure, SAARC Development Fund (SDF). Saksena has over 22 years of relevant work in public sector/ private sector/ international/ multinational financial institutions/ banks and has strong skills in credit and risk management, project risk management, origination and multi-team management. He has been actively involved in managing infrastructure, commercial and economic projects across geographies. During his career in banking/ financial institutions, he has been actively involved in managing across geographies Japanese, Korean, European and US corporates; managing Large and Mid Corporates including meeting their trans-national financing requirements, public sector enterprises (PSE) and government bodies. Bhushan Kumar has been selected for appointment as joint secretary, Shipping ministry. According to Silicon India, Bhushan was CEO and MD at Diamond Shipping, which is a part of Sharaf Group, Dubai, UAE from January 2008 to July 2009. He was the vice-president/GM-legal at Maersk India Pvt Ltd in Mumbai in from 204 till 2007. Prior to this, Bhushan Kumar worked as General Manager at Caleb Brett India Pvt Ltd, Jamnagar and as Nautical Officer at TS Chanakya. Bhushan Kumar has a degree in B.Sc Nautical Science.